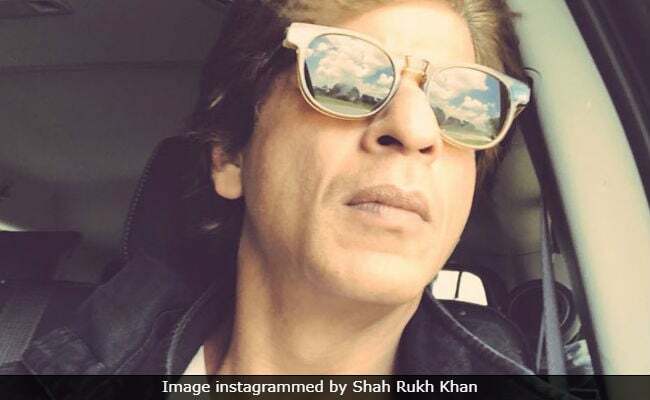 Aaaaaannd it's a wrap for Shah Rukh Khan's Zero. "A film never finishes...but so many beautiful things come to an end around it. Thanks everyone for a very fruitful and hectic shoot," Shah Rukh Khan wrote on Instagram along with a picture of himself taken after the completion of the shooting in Orlando. Zero, directed by Aanand L Rai, is slated for December release and the film also stars Katrina Kaif and Anushka Sharma, who were not on the sets of the film on the last day. Katrina and Anushka finished filming their portions earlier - while Anushka was spotted in Mumbai recently, Katrina is touring with Salmna Khan for the Da-Bangg tour. Shah Rukh Khan's fan clubs had more pictures and some videos of the crew celebrating the end of what SRK described as "fruitful and hectic shoot." Zero has had its share of limelight even before release, courtesy of two teasers featuring pint-sized Shah Rukh Khan. In the first teaser, which release on January 1, SRK, who plays a dwarf danced like no one's watching to popular song Humko Tumpe Pyar Aaya, originally picturised on Shashi Kapoor in the film Jab Jab Phool Khile. In the second teaser, which was team Zero's Eid gift for fans, the filmmakers revealed more about Salman Khan's cameo. Together Salman Khan and Shah Rukh rocked the Internet for days. In Zero, Shah Rukh plays the role of a dwarf while Katrina Kaif plays the role of an actress battling alcoholism while Anushka plays the role of a struggling scientist.